How does a newly-qualified pharmacist – whose training is focused on clinical skills – step up to manage a team and run a business? It's a question that led Lloydspharmacy to set up its Step Into Management programme two years ago. Step Into Management is one of several programmes Ms Follows – herself a Lloydspharmacy manager for two years before taking on her current role – is involved with. It's aimed at boosting the skills of Lloydspharmacists, increasing their clinical capability and achieving all of the quality payments points. As is the aim for all staff at Lloydspharmacy, the pharmacists on the Step Into Management course will become Dementia Friends. Celesio has been working on dementia training with the Alzheimer’s Society since 2014, two years before becoming a Dementia Friend was added to the list of quality payments criteria – creating an additional financial incentive for pharmacies to send their staff on the training. Improving care of patients with dementia “was always a big part of us as an organisation”, Ms Follows says. The quality payments added a motivational boost, as well as showing Lloydspharmacy was “in line with the government agenda”. In February, Celesio announced it had trained 10,000 Dementia Friends, covering over 60% of Lloydspharmacy staff. Two months later, this figure had risen to 15,000. To become a Dementia Friend, employees take a dementia module via an e-learning platform. Previously they were taught using online videos, but the new platform completed in summer 2016 “brought it to life”, says Ms Follows. The module is now “core” to the induction of “every new [Celesio] colleague”, she points out. Ms Follows also helped to advance the company’s dementia services by working with the product team to bring in a new range of products, which were rolled out across 50 stores from May, in partnership with dementia company Unforgettable. They include a jigsaw, an eating kit, and a book for the families of patients. “I know [the range] has proven to be successful,” she says. “That's part of our ongoing commitment to support patients and their families with the condition.” As dementia “affects so many people now”, improving services around patients with the disease is a “growing project”. 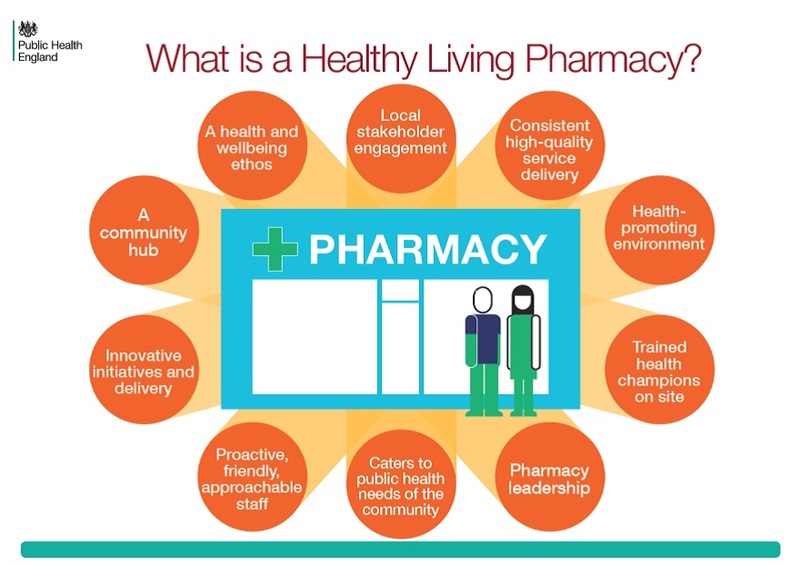 Lloydspharmacy was not as far ahead of the curve with another aspect of the quality payments criteria: healthy living pharmacy (HLP) accreditation. When the payments were announced at the end of last year, some “local pockets” had approached the initiative through their local pharmaceutical committees, but there was no company-wide strategy. That all changed, and recently HLP-accreditation has been the “biggest focus for my team”, Ms Follows says. She wants “all of our stores” to get accreditation “ahead of the November review”, so each can claim the full payment of £1,280. As HLP training supports “workforce development” while “localising the need for that population”, it “is definitely in line with what we believe in as an organisation”. The impact has spread beyond Celesio’s Lloydspharmacies – in June this year its wholesaler AAH Pharmaceuticals announced a partnership with online training platform Pharmacy Complete to assist independent pharmacies to meet the HLP quality payment criteria. Ms Follows predicts there may be changes to areas of “clinical effectiveness”, with the focus shifting from asthma to “another long-term condition”. With such a strategic outlook, how does Ms Follows ensure she doesn't lose touch with what is happening on the pharmacy floor? “I work in this role full-time, but still do as many locums as I can,” she reveals. How do you develop staff in your pharmacy? Benefits of this training? Absolutely ZERO except to the multiple who are able to squeeze more out of you for the same pitiful wages. How C&D promote this nonsense is beyond me. It's become little more than a mouthpiece for these multiples and their propaganda. "Focus on Clinical Skills", "Dementia Friends", do contractors realise how cost effective these programmes are? Good for a write up though, and we are letting technician dispensing in through the backdoor while pharmacists dream of being pseudo-clinicians. Unbelievable! I am a Pharmacy Manager for LP and I have NEVER heard of this 'Step into Management' programme! With regards to becoming a Dementia Friend... what on earth do you mean by "employees take a dementia module via an e-learning platform" and that "previously they were taught using online videos, but the new platform completed in summer 2016 “brought it to life”" The "e-learning platform" you talk about is just an ONLINE VIDEO that we all must watch. And it is only "now “core” to the induction of “every new [Celesio] colleague”" because it is part of the NHS Quality Payments! Which, by the way, was not a motivational boost to US but to the company for money! IT is no coincidence that Lloyds started working with the Alzheimer's Society because they KNEW what was coming with the Quality Payments! And one last thing...there is NO actual "learning culture" within the branches of Lloyds themselves because there's NO TIME! When is the Pharmacy Manager supposed to actually train the colleagues when they are reading pointless one-way emails, acting as a HR manager and sorting out payroll errors, and being the RP, all at the same time!?! And using non-pharmacist PM's is NOT the answer because you actually need a trained and qualified pharmacist to do most of the 'managerial' work like Quality Payments etc, rather than a 'manager' on minimum wage who does it for a power trip like some of the branches near me.....We are run of our feet, with minimum staff, no training, low pay, working under ridiculous pressure, and we have a "Support Centre" that doesn't give any support at all because all of them there don't have a clue about what it is like working in a busy pharmacy EVERYDAY! Doing a 'locum' ONE SHIFT a fortnight does NOT give you any insight into what it is like day in day out, with targets and colleagues to manage! If it wasn't for us loving the patients and customers then you wouldn't have any staff at all! PS. Ms. Follows......It is NOT a solution to training needs to say that it is "now accessible from home and on a tablet" because colleagues should NOT HAVE to do their training at home, and what are you talking about doing it "on the bus"!?! I would certainly NOT say that A BUS is an environment that is conducive to learning!! !